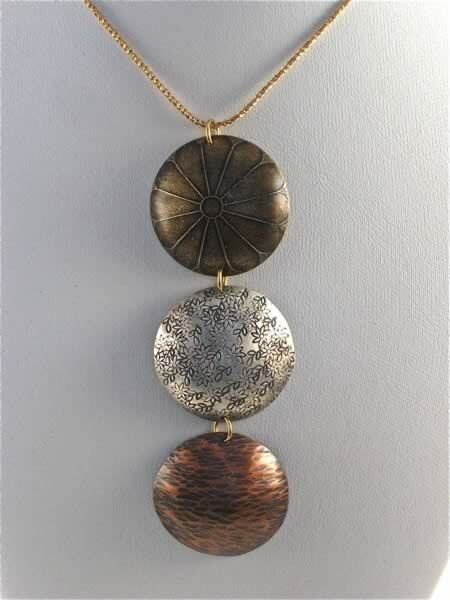 Extra Large Three Disc Oxidized Vertical Necklace, Brass with Giant Mum Engraving, Sterling Silver with Daisies, & Hammered Copper. Pendant is 3” long, Shown with 16" gold filled chain. 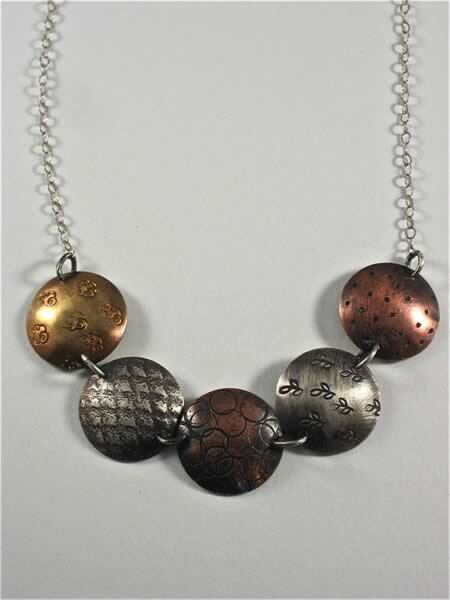 Oxidized sterling silver 18" chain can be substituted. 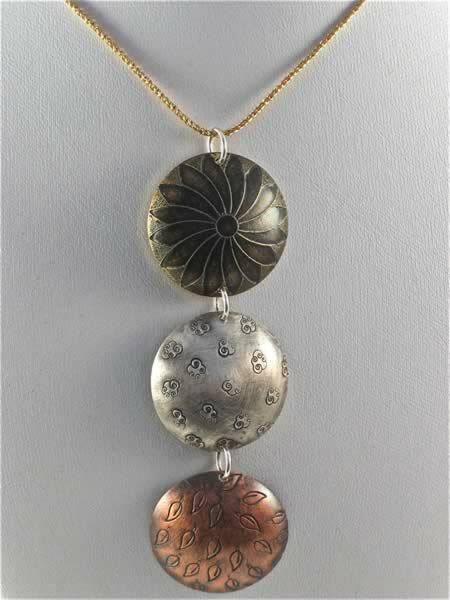 Extra Large Three Disc Oxidized Vertical Necklace, Brass with Giant Flower Engraving, Sterling Silver with Clouds, & Copper with Single Leaves. Pendant is 3” long. Shown with 16" gold filled chain. Oxidized 18" chain can be substituted. 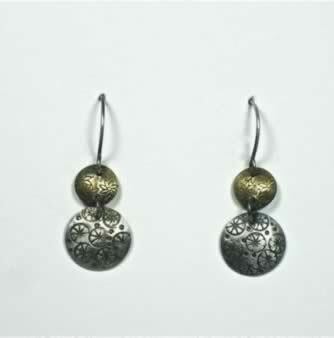 Two Disc Oxidized Earrings Copper & Sterling Silver Stamped with Daisies & Wagon Wheels. 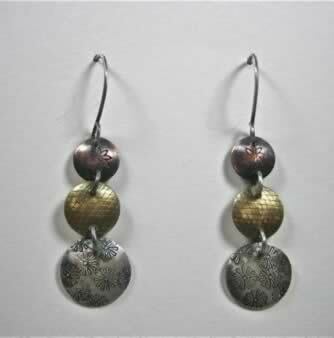 Three Disc Oxidized Earrings Copper, Brass & Sterling Silver Stamped with Daisies, Toile Pattern & Mums. 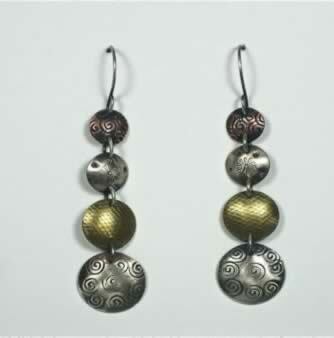 Four Disc Oxidized Earrings Copper, Sterling Silver, Brass, Sterling Silver, Stamped with Spirals, Daisies, Toile Pattern & Spirals.